Phu Quoc island is one of the famous places in Vietnam with a lot of wonderful things for enjoying and traveling. When visiting the place, tourists can not miss out scuba diving activity which is known as one of the famous and “must-try” things in there. Scuba diving is one of the most interesting and lovely activities of almost tourists, especially young people when having the chance to visit Phu Quoc island. Snorkeling is very easy and the great thing is unlimited age. It is really simple if you follow the induction of guide. Furthermore, you don’t worry that you do not know about swim because you can choose near shore dive spots for you to explore very easy. However, if you want to have full experiences, you should enjoy the activity in An Thoi Island. 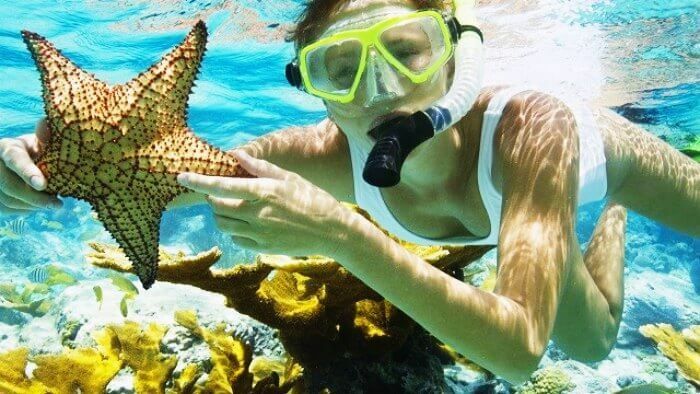 One of the best-concerning tourists when enjoying scuba diving is “where is the best place for enjoying the activity?” Actually, there are a lot of places for you to explore the sea with the activity such as North Long beach, Sao beach, and Ganh Dau. Furthermore, you can enjoy scuba diving at Thom beach, An Thoi Island, and etc. 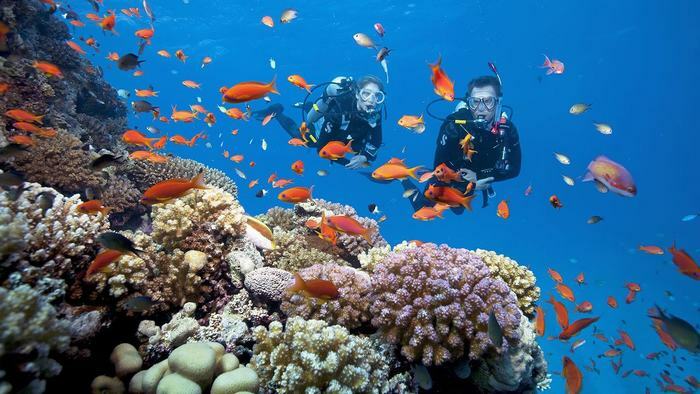 In order to explore scuba diving in the right way, you should book tour for traveling which will better than rent equipment for enjoying the activity. If you don’t want to travel with tour or rent equipment for scuba diving, you can buy them very easy at stores around Duong Dong town or Long Beach village. The normal equipment for scuba diving is from 100.000Vnd- 200.000Vnd. However, if you want to use high-quality equipment, you have to spend from 600.000Vnd. Most tour operators on the island offer 2 types of diving tours including Diving & fishing tours to the south and Snorkel & fishing at the north tour with price from $14USD to $20USD. 8:00 am pick up at hotel/ resort by van or car depending on the number of pax. On the way to An Thoi street and before returning to the harbor, your tour operator can take you to a pearl farm/shop for 30 minutes. Then, you will travel around An Thoi Island to lunch and enjoy its landscapes. After that you will free to enjoy scuba diving with induction from the guide, you can also rent scuba diving’s equipment with free. 3:30 pm you will come back to your hotel/ resort. Hope that after the post you will have more and useful information for traveling to Phu Quoc Island and enjoying scuba diving in there. Furthermore, if you do not experience the activity before, you should book tour to make sure that you will save during enjoying the activity and your trip as well. You can easy to book tour at your hotel or reputable tour agency in Phu Quoc Island.